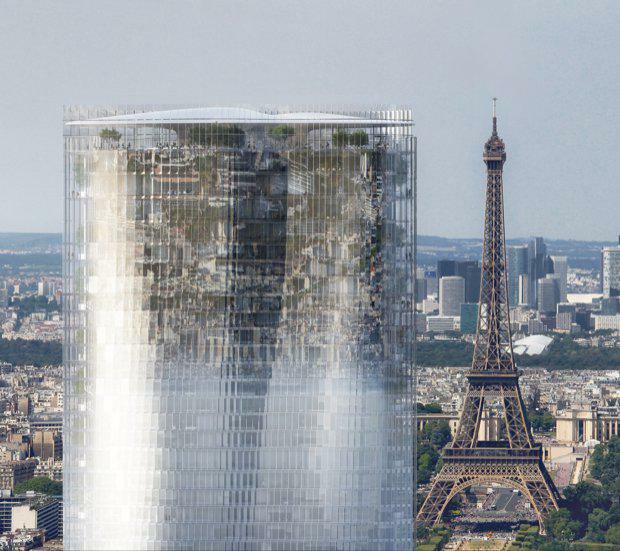 Architecture consortium Nouvelle AOM have been selected to redesign the Tour Montparnasse skyscraper in Paris, opening a fresh new chapter in the history of the well-known Paris tower. The international competition was held in 2016 for the overhaul of the €300 million tower -- challenging bidders to create a bold new identity for the Tour Montparnasse, while addressing all the challenges of the modern world regarding user accessibility, comfort and energy performance. Nouvelle Agence pour (or nouvelle AOM) is a consortium of three Paris-based firms that brings together a young generation of architects all born in the 1970s: Franklin Azzi, Fréderic Chartier, Pascale Dalix, Mathurin Hardel and Cyrille Le bihan. The revamp makes a shift from opacity to transparency, while compelling new uses will transform the tower into a lively thriving place, giving it "back to the people of Paris". 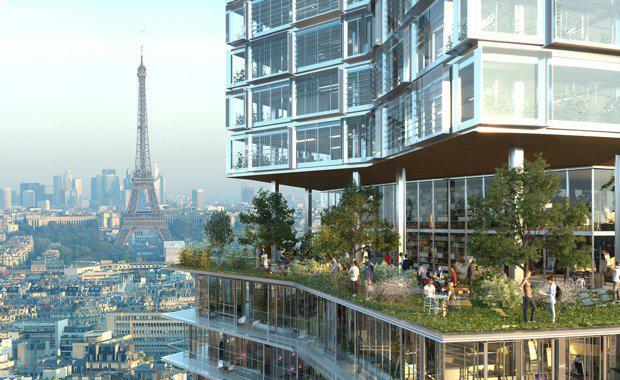 "When we took up the challenge of this exciting competition, our focus was on revealing the beauty of the Tour Montparnasse from the inside out," the consortium said. 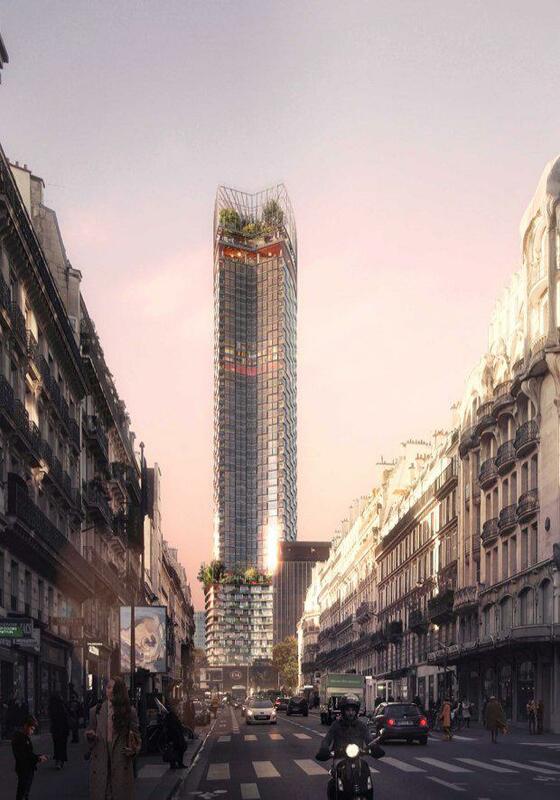 The competition's decision makers, the ensemble immobilier tour maine-montparnasse (EITMM), said Nouvelle AOM's project perfectly captured the spirit of the 21st century, giving the Tower a multifaceted identity revolving around attractive, innovative new uses. "The tower will breathe new life into the Montparnasse neighbourhood. ""Nouvelle AOM's project is perfectly aligned with our architectural vision: resolutely focused on uses, kind to the environment and exemplary in terms of energy efficiency. 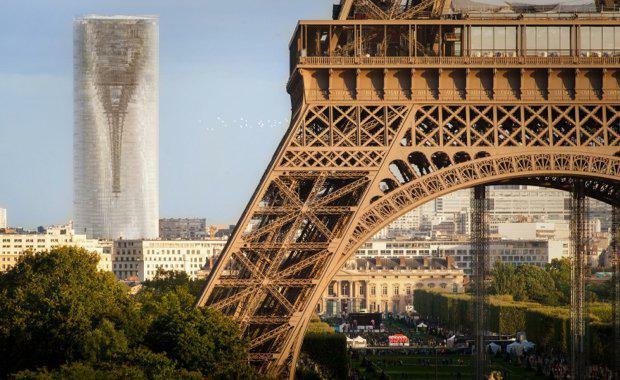 The consortium's subtle architectural intent will allow the Tower to recapture the hearts of the people of Paris," EITMM said. The 59-storey tour montparnasse was the last skyscraper to be built in Paris after being completed in 1973. After several decades the edifice has made Parisians wary of the threat that such high-rises pose in permanently damaging the look and feel of the existing metropolis. 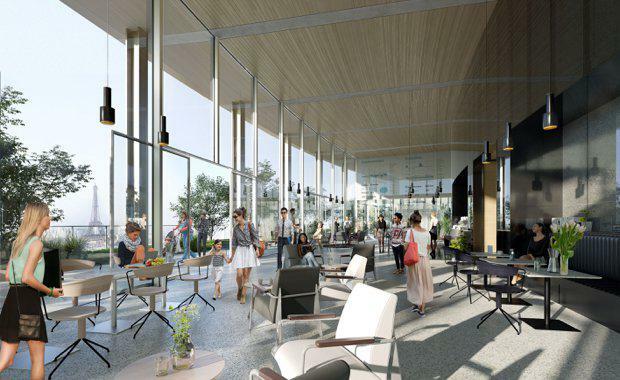 Nouvelle AOM's winning design for the tower redesign was one of seven other designs from well-known architectural firms. One, for example, was a firm called MAD which recently released their design proposal. The streets and rooftops of the neighbouring buildings appear as if they are hanging in the sky; while the sky is mirrored onto the lower section of the building, blending into the atmosphere. The design creates a mirage of Paris, but upside-down, as if it is floating in the air. The €300 million-renovation, financed entirely by the tower's co-owners, is due to be completed by 2024, in time for the Paris Olympic Games. The metamorphosis of the Montparnasse Tower is poised to become a flagship of urban renewal and will undoubtedly spur a complete reinvention of the entire left-bank neighbourhood. Images courtesy Nouvelle AOM & MAD.